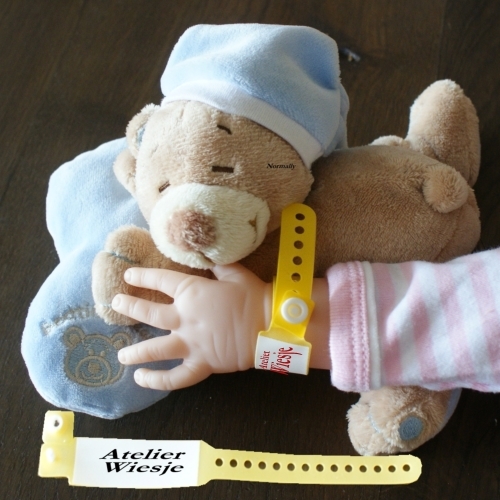 An authentic hospital band adds the final touch of realism to your customer's newborn doll. Authentic hospital baby name bands! An authentic hospital band adds the final touch of realism to your newborn doll. When people see the hospital band they know that the baby must be only a day old or so. The hospital band is the perfect place to name your baby. It also gives you the artist a place to autograph your precious work.